The Elections and Boundaries Commission has denied allegations made by the Opposition Leader that its organization has corrupt officials and its members were colluding with the PNM. 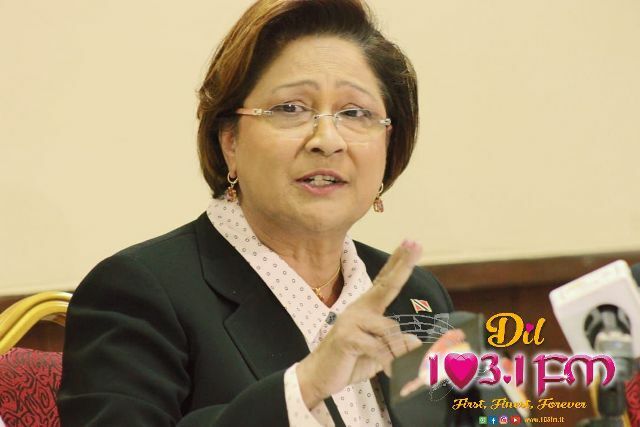 Mrs. Kamla Persad-Bissessar alluded to this during a political meeting on Monday night, and urged Police Commissioner Gary Griffith to investigate. The EBC however, says if she or anyone else has evident that EBC officials are involved in any corruption whatsoever, these should be passed on to the relevant authorities. In addition, the Commission says it welcomes any investigation into its operations by the Police Commissioner, saying this will help dispel public concerns and fears. And, should an investigation reveal evidence of impropriety, the EBC is assuring that any perpetrators will be prosecuted to the fullest extent of the law.